2018’s Couch to 5km Swim Programme ran throughout June and July with this summer treating us to extraordinarily good weather with clear skies, calm conditions and warm waters. Over the past two months almost 50 swimmers have taken on the challenge of building their swim skills, technique and endurance towards competing in the ILDSA Lough Erne Championship event held on the 4th August. 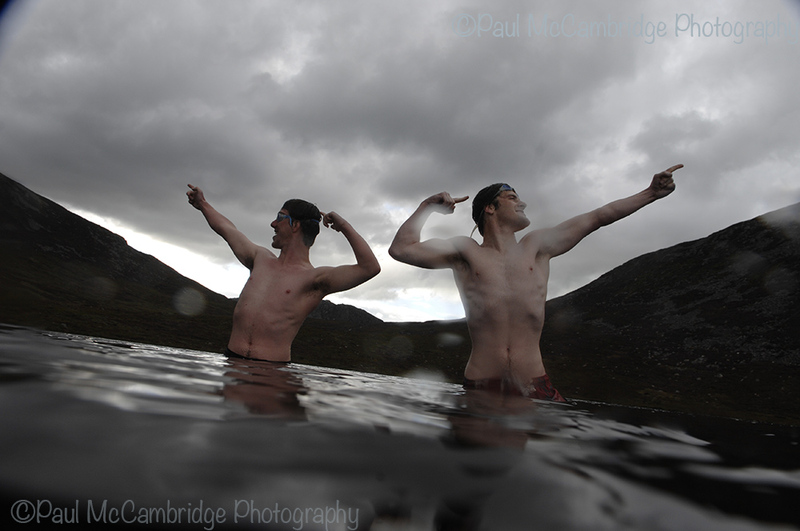 Several of the swimmers had never ventured into open water before, some were learning a new stroke – Front Crawl, and others had the goal of improving their skills, confidence and endurance in open water. Coaches and mentors Maureen McCoy, Kealan and Paul McCambridge from SWIMFREE Outdoor Swimming Association, have worked with each of the swimmers to improve technique, ensure their safety and guide them through the various challenges swimming outdoors can raise, ultimately preparing for the ILDSA Lough Erne event. The culmination of their hard work was this Saturday when 30 of the Couch to 5k Swimmers completed the full 5 kilometre distance and 10 completed the Ted Keenan Mile swim. When all swimmers were safely and happily home, the ladies of Cootehill, Cavan and thereabouts played their final card – a picnic to rival all picnics! 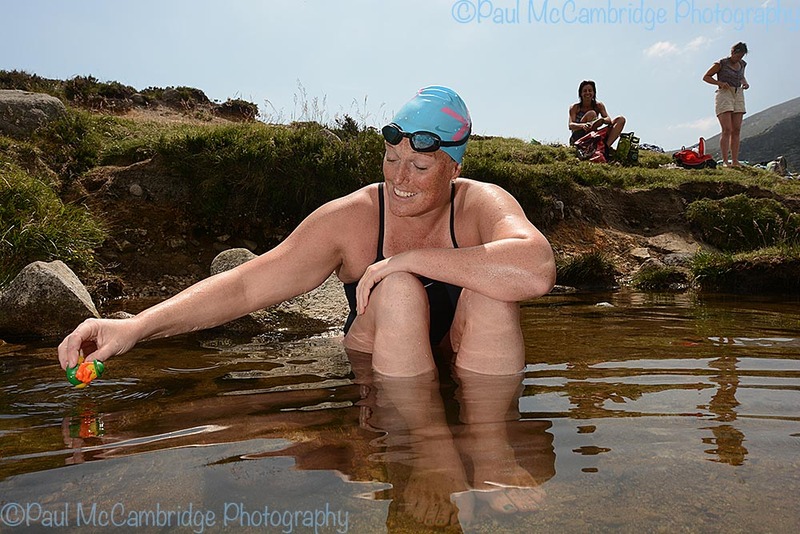 Alongside training and focusing on their own swims the ladies laid on the most wonderful spread of salads, cold cuts and cakes, all washed down with sparkling elderflower cordial… ! 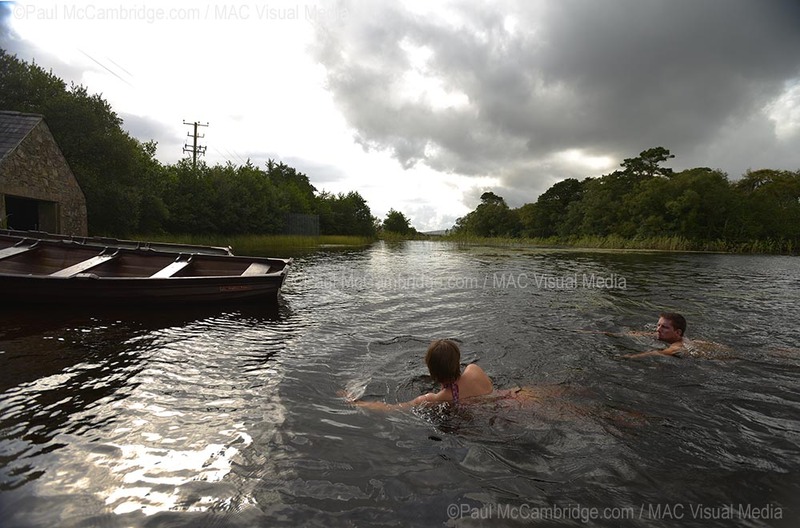 ©Paul McCambridge / MAC Visual Media 07711167277 Couch to 5K swimming program, Lough Erne, Fermanagh. Swimmers took part in the Couch to 5k Swim Programme for many reasons and to mention one local man; Stephen Cooper of Enniskillen has been raising funds for Breast Cancer research. To date Stephen has raised just over £2500. SWIMFREE coaches and organisers would like to thank WATERWAYS IRELAND for their sponsorship and support of the programme. SHARE Discovery Village, for providing a fantastic venue, friendly and helpful staff. ILDSA for facilitating Couch to 5k Swimmers and Swim Ireland for providing swim caps to the participants. The ILDSA has been running the Lough Erne 17km Irish Championship for over 25 years with the longer 25km distance added several years ago, both are “Skins” (ie non-wetsuit) swims, more recently adding 10k and 5k distances and this year was the first of the Ted Keenan Mile Swim. P.S. We’ll keep you posted on the book’s official launch date and venue. The reeds whispered in the gentle breeze as we walked into Lough Derg on a warm summers evening and swam out into the dark, peaty water. Far across the lough rose the impressive structure of the Sanctuary, the circular Basilica with its great copper dome dominating the lake. I thought of the many thousands of pilgrims who have travellled here seeking enlightenment, or to ease their suffering and that of others, or came here in thanks. Clearing my mind of the everyday rush, I stopped making lists and simply enjoyed being here, immersed in the water and the moment. In a kind of meditation I let myself relax and breathe, taking the time to enjoy the cool water, the warm sun and the soft breeze. For hundreds of years, Station Island where the Sanctuary sits was believed to be a special place, even before Saint Patrick travelled here in the 12th Century. But it was after Patrick’s vision of the afterlife during contemplation in a cave here that it became a place of Christian pilgrimage and the island was given the name, Purgatorium Sancti Patricii. 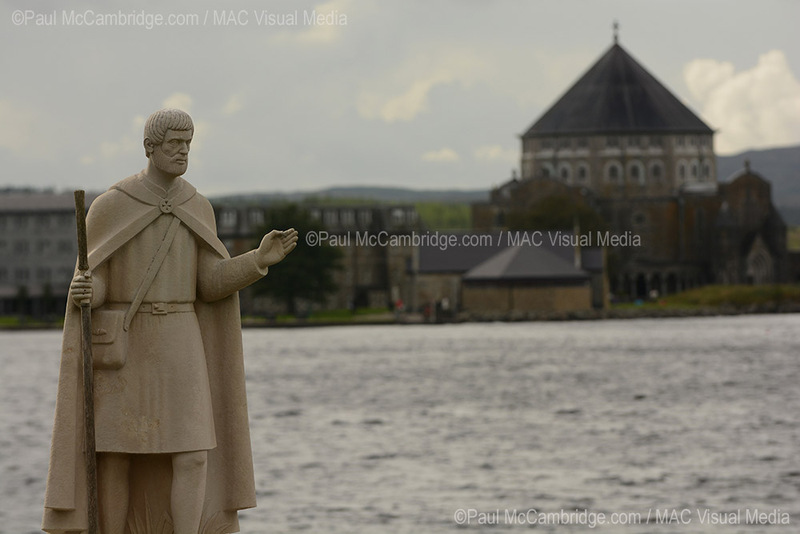 The largest lough in Donegal at six miles by four, Lough Derg can afford the swimmer plenty of quiet places to explore without interrupting anyone else’s spiritual experience. Away from the main car-park there are plenty of access points used by fishermen and with no motor-craft allowed, the peaceful air is tangible. Although it would be tempting to swim out to the Sanctuary, they ask that no craft go within 300m of the island, and I accept that this would include swimmers and so I am happy to enjoy my solitary contemplation, enjoy the peace and admire the grand building from afar. 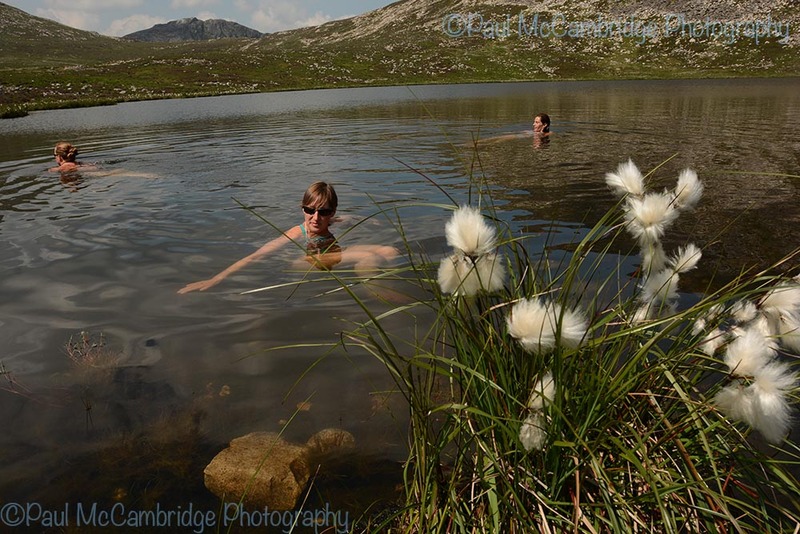 Nestled in the centre of the Mournes Annalong valley, the Blue Lough is well-known to hill walkers and provides a lovely, cool dip after a hard days walking. I have often waded into this pretty Lough on a hot day, a favourite after climbing Slieve Binnian, walking along the tors and then the fast descent getting hot, and ready for a breath-taking dip in the fresh water! On a hot day in July I brought Michelle and Erin up to this spot and after around thirty minutes of walking we rounded the Percy Bysshe and they had their first glimpse of the lough, surrounded by purple heather and tufts of Bog Cotton, the dark peaty water reflected the blue sky and clouds above. We quickly discarded our walking shoes, stripped to our swimsuits and picked our way through the stones at the edge to drop down into the cool water, refreshing our hot faces and cooling our limbs. The scene was peaceful and quiet as we explored the lough, gazing up at Lamagan slabs to one side and Slieve Binnian on the other. We spent a good few hours in this lazy mood, climbing out to dry off in the hot sun, followed by another dip in the lough each time we got too warm. Although easy to get to and a suitable walk for most families, one gets the sense of being right in the centre of the mountains, miles from civilisation. Blue Lough is situated above the Annalong Valley, between Lamagan Slabs and the North Tor of Slieve Binnian. The route to the Lough is an easy walk from Carrick Little car park. Follow the path alongside Annalong Wood, soon you will cross the river and the path rises up, passing Percy Bysshe you will see the small Lough straight ahead.